FMI email me at sue at suzannedrown.com if you would like to receive my fall schedule or if you have other questions. You can also schedule your own class…gather your friends and we will create it for you! Email me at sue at suzannedrown.com or call me at 409-4897. You can find descriptions for past classes below. Batik is the ancient art process of “writing” or painting with hot wax. 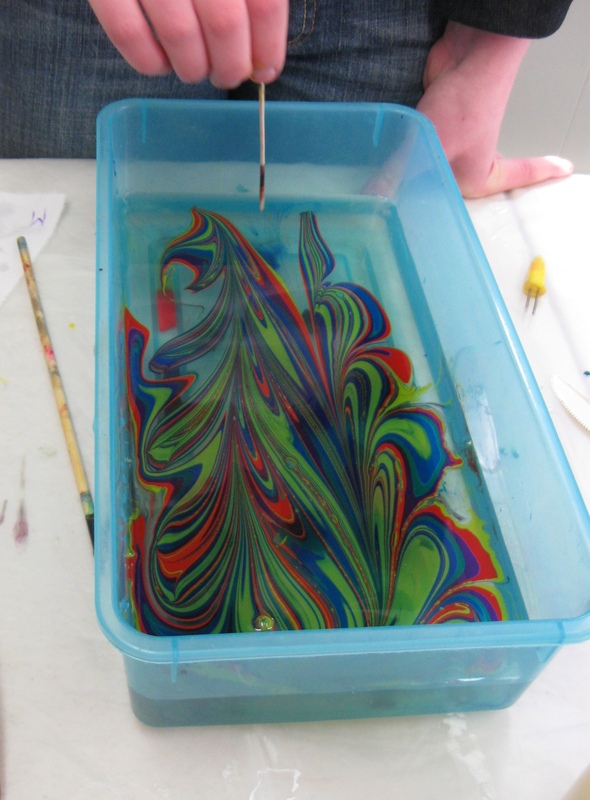 In this day-long workshop you will have the opportunity to create your own batik designs and learn about wax-resist techniques, including painting or drawing on fabric with melted soy wax. 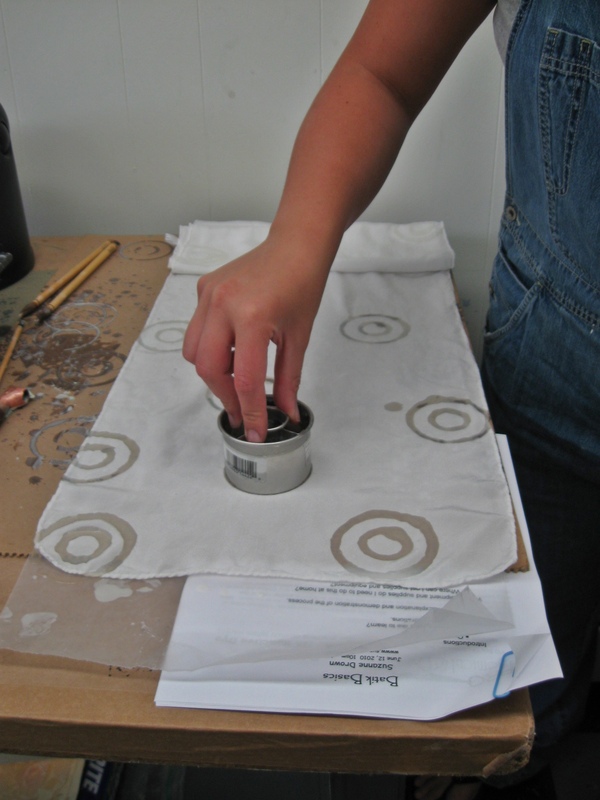 You will also learn dye painting techniques to color your fabric. Once you register, I will send a short list of additional materials for you to bring from home: scissors, t-shirt, extra fabric, etc. Please bring a lunch. You know those drawers full of t-shirts no one wears? During this 4-week series, we will use them as our basic material to create a fun pillow, a simple crazy creature, and a fun embellished tote bag! Along the way, you’ll learn how to tie dye and marble fabric, and use a simple appliqué technique using a fusible webbing. Teens and adults welcome. Once you register, I will send a short list of additional materials for you to bring from home: scissors, t-shirts, extra fabric, etc. I’ll provide the dye and equipment; you bring items you want to transform. We’ll spend the morning folding, twisting, tying and dyeing to create colorful accents for your apparel or home. Possible items to dye: cotton t-shirts, scarves, tote bags, table runners… any natural fabric. Older children with an adult, teens and adults are welcome. Once you register, I will send a list of additional suggested items for dying. Using a beautiful selection of fiber reactive dye paints and a sabra silk resist, you will design and paint your own beautiful 6” x 72” rayon scarf! 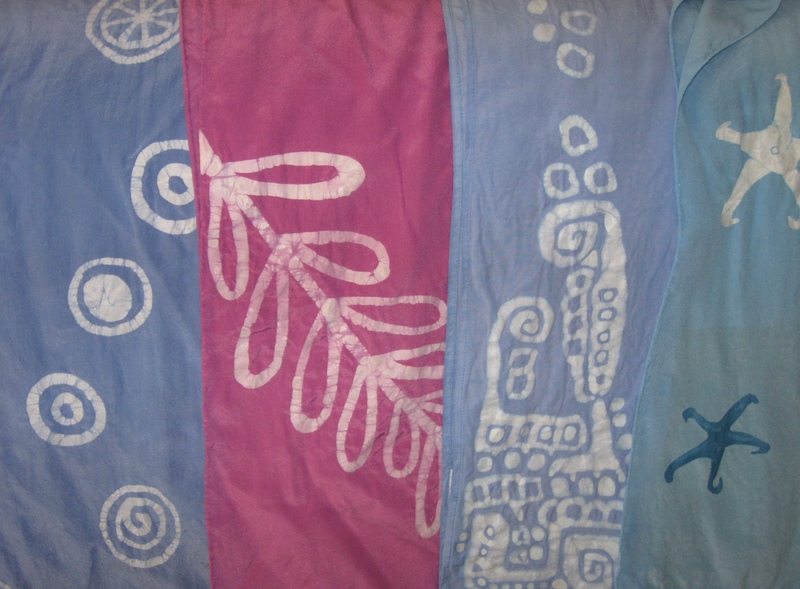 Learn to hand paint with fiber reactive dyes while creating a beautiful scarf to keep or give! Can’t makes these class times or days work for you… gather your friends and create your own class! Email me at sue at suzannedrown.com.